Without doubt one of Charles Dickens’ most infamous creations, Miss Havisham casts an eerie shadow over Great Expectations, the black heart of the story, a woman ruled by spite but also suffering deeply from her own heartache at being jilted. Linda Marlowe takes on the role in this one-woman show, fleshing out the character, adding a modern sensibility and humanising her in the process while never ignoring the darker aspects of her personality. Marlowe imbues her with a wicked humour as she directly addresses the audience, switching between her fictional and factual past, contextualising her place in history and literature. In particular she becomes a clever tool for examining Dickens’ own attitude to women. Di Sherlock’s direction never overwhelms Marlowe’s wonderful performance but adds another layer of magic through lighting, film and music. 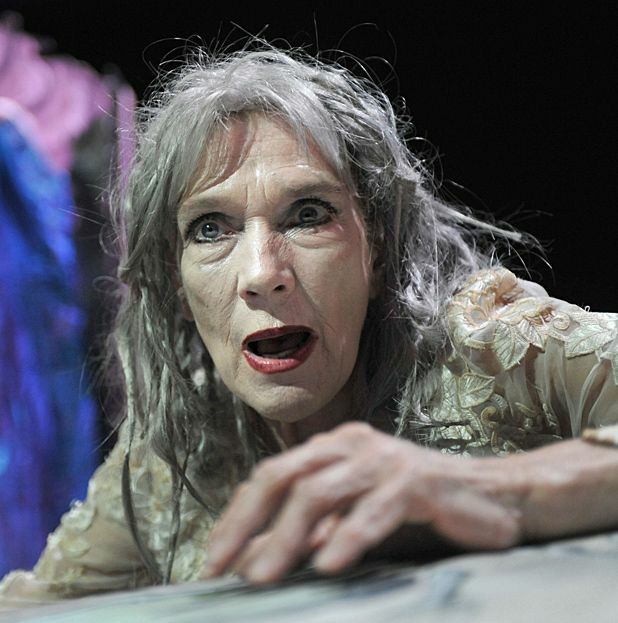 Norma Havisham is such a rich character it’s a gift for any actress and Marlowe easily steps up to the challenge, skilfully adding a poignancy to the bitterness that became her own downfall. Gilded Balloon Teviot, 622 6552, until 27 Aug (not 15), 3pm, £10–£11. Mixing fact and fiction Linda Marlowe brings one of Dickens' most famous creations to life.